Husband, Father, Singer, Actor and Philanthropist, Q Parker has garnered many accolades since entering the music industry in 1996 including a Grammy award, an MTV Video Music Award, two multi-platinum albums, one platinum album and two gold albums. A winner of 6 ASCAP awards, Q is an accomplished songwriter that has worked with a variety of chart-topping talent including Keyshia Cole, Pink, Faith Evans, P. Diddy, Mase, Notorious B.I.G., Mario Winans, New Edition, Kelly Price, Tyrese, Algebra Blessett and more. Q has had the honor of being a special guest speaker at the prestigious Berklee College of Music on the art of writing a hit record. Acting and especially musical theater is one of Q’s passions. 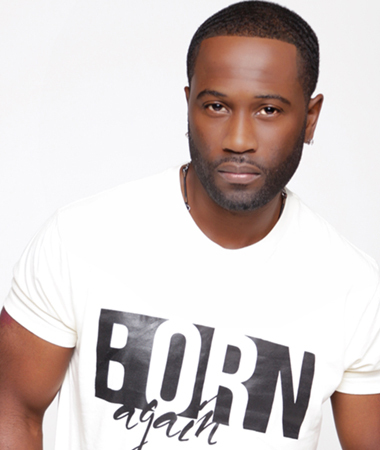 In the past two years he successfully executed starring roles as “Joseph” in the holiday theatrical tale, “A Gift of Love” starring veteran actress and Academy Award nominee Ruby Dee, held down a lead role opposite R&B songstress, Keke Wyatt, in the musical stage production, “When Love Ain’t Enough” and wowed audiences in 2013 as the co-star in the musical “Rebirth” which also featured acclaimed actress, Lynn Whitfield. In that same year Q co- starred opposite R&B music legends Eddie Levert and Shirley Murdock in the musical theater production, “A Mother’s Love” produced by Grammy-winning songwriter and “Real Housewives Of Atlanta star, Kandi Burruss Tucker. As a proud parent and supporter of charitable causes, Q has lent his name, time and resources to the Alzheimer’s Association of Georgia and the Cub Scouts of America to name a few. In 2015, Q launched the Q Parker Legacy Foundation whose mission is to strengthen and empower young and old men of various socioeconomic statuses within the areas health, wealth, spiritual, fatherhood and social aspects. Programs presented by the foundation include Brothers United of Atlanta Men’s Group, Brothers United Youth Mentoring Program, Brothers United Youth Summer Camp and DoMENate Men’s Conference. Alongside his wife Sharlinda Parker, the couple founded Couples United with a mission to promote family, spirituality and marriage. As the Founder of NeWFAM Entertainment, a full service entertainment company dedicated to artist development & management, label services and music production. IN October 2012, Q released his critically acclaimed solo debut entitled Q PARKER: THE MANual, through a joint venture between NeWFAM Entertainment and Malaco Records in October 2012. The album which is a great blend of classic and contemporary R&B was lauded by iTunes as “one of the best R&B albums of 2012.” The first two singles from the album, “Show You How” and “YES” each reached Top 15 status at Urban Adult Contemporary radio. His current album set to release in the Fall of 2018 is an inspirational one chronicling his life’s experiences since entering the entertainment industry with the hopes of inspiring and uplifting men across the world. Q also served as a co-producer on the Black Nativity Soundtrack. Q can be seen regularly traveling worldwide touring nationally and internationally with his group, 112. His commitment to community enrichment and youth charitable organizations is never ending.